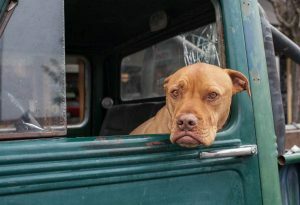 Summary: Pit bulls suffer from numerous allergies. Staying prepared is key to a healthy lifestyle. With dozens of allergies that pit bulls are susceptible to, it’s crucial that you prevent them from exposing themselves to the allergen itself to minimize any discomfort or respiratory failure. Allergies from fleas tend to be extremely common, especially when the pit has been exposed to a heavily wooded area. If you feel that your pitbull has been exposed to fleas, call your local veterinarian and schedule a checkup. Your doctor should recommend a flea medication, especially if he’s allergic to them. Another recommendation is to brush your dog’s hair routinely to keep his skin free of any allergens. If your pit isn’t eating his food or is responding to it in a strange way, he might be allergic to the type of food that you’re giving him. Be sure that you find a new type of dog food immediately that eliminates the primary ingredient of the previous brand. Opt for a more organic dog food as pit bulls that have strong food allergies usually respond well to it. If your pit has a skin allergy, you’ll want to discuss the options with your veterinarian. Depending on the severity of the allergy, you could get anything from a simple medication to an injection. However, your veterinarian will know best, so seek out his advice whenever you can to keep your companion healthy and strong. Blog submitted by Iron King Kennels: Looking to find ome blue nose pitbull puppies for sale? Visit the experts at Iron King Kennels for a wide selection of every type of pitbull you can imagine.